Recent Arrival! ANOTHER FINNEGAN FIND!!! Don't delay, come see Mike Todd today! CALL OR TEXT TO 832-453-5233. 2016 Jeep Patriot Sport Billet Silver Metallic Clearcoat Odometer is 18682 miles below market average! 22/26 City/Highway MPG Dark Slate Gray w/Premium Cloth Bucket Seats or Cloth/Vinyl Low-Back Bucket Seats or Ombre Mesh Bucket Seats. Clean CARFAX. CARFAX One-Owner. This Spring, Finnegan is pushing to become a destination dealership. That means better service and fairer pricing then you'll find inside the Houston city limits! Help us be the best, and continue to be a fast-growing leader in the RIGHT WAY to be a customer friendly dealership! Recent Arrival! ANOTHER FINNEGAN FIND!!! Don't delay, come see Mike Todd today! CALL OR TEXT TO 832-453-5233. 2017 Chrysler Pacifica Touring L Brilliant Black Crystal Pearlcoat Clean CARFAX. CARFAX One-Owner. 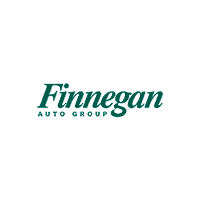 This Spring, Finnegan is pushing to become a destination dealership. That means better service and fairer pricing then you'll find inside the Houston city limits! Help us be the best, and continue to be a fast-growing leader in the RIGHT WAY to be a customer friendly dealership! Recent Arrival! ANOTHER FINNEGAN FIND!!! Don't delay, come see Mike Todd today! CALL OR TEXT TO 832-453-5233. 2014 Ram 2500 Lone Star HEMI 5.7L V8 VVT Black Clearcoat CARFAX One-Owner. This Spring, Finnegan is pushing to become a destination dealership. That means better service and fairer pricing then you'll find inside the Houston city limits! Help us be the best, and continue to be a fast-growing leader in the RIGHT WAY to be a customer friendly dealership! Recent Arrival! ANOTHER FINNEGAN FIND!!! Don't delay, come see Mike Todd today! CALL OR TEXT TO 832-453-5233. 2015 Ram 1500 Laramie Bright Silver Metallic Clearcoat Clean CARFAX. CARFAX One-Owner. This Spring, Finnegan is pushing to become a destination dealership. That means better service and fairer pricing then you'll find inside the Houston city limits! Help us be the best, and continue to be a fast-growing leader in the RIGHT WAY to be a customer friendly dealership! Recent Arrival! ANOTHER FINNEGAN FIND!!! Don't delay, come see Mike Todd today! CALL OR TEXT TO 832-453-5233. 2016 Ram 1500 Laramie Bright Silver Metallic Clearcoat Clean CARFAX. CARFAX One-Owner. This Spring, Finnegan is pushing to become a destination dealership. That means better service and fairer pricing then you'll find inside the Houston city limits! Help us be the best, and continue to be a fast-growing leader in the RIGHT WAY to be a customer friendly dealership! 2016 Dodge Challenger SRT Hellcat Pitch Black Clearcoat Clean CARFAX. CARFAX One-Owner. This Spring, Finnegan is pushing to become a destination dealership. That means better service and fairer pricing then you'll find inside the Houston city limits! Help us be the best, and continue to be a fast-growing leader in the RIGHT WAY to be a customer friendly dealership!